A spring-ready update on our best-selling jumpsuit. Designed..
Ditsy Floral Embroidered Cotton Poplin Wide Leg Jumpsuit. With a casual-cool slouch and lustrous cotton-silk sateen, o.. 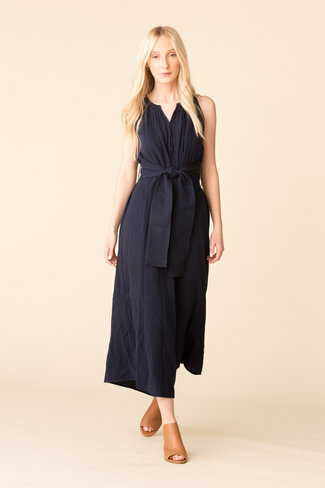 Contrast Stripe Cotton Seersucker Wide Leg Jumpsuit. Striped Lurex Cotton Wide Leg Ruffled Jumpsuit. A rich, velvet fabric is designed into a slim fit jumpsuit w..